A Live TV Show - For those who really like HOG. This game is a competition like "Wheel of Fortune". 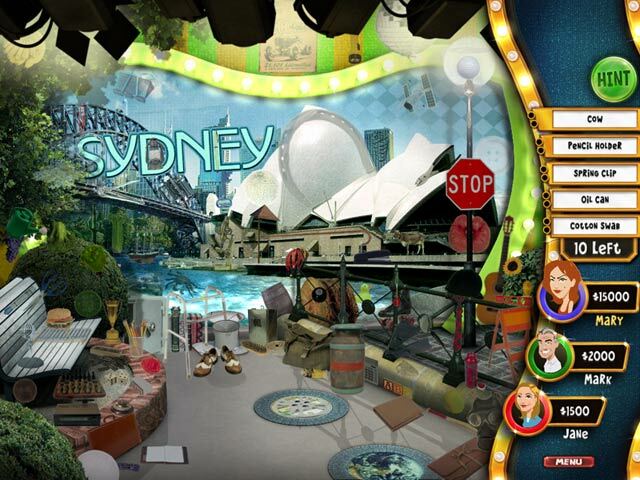 You spin the wheel, and the selected amount will be the value of each HO in the next scene. 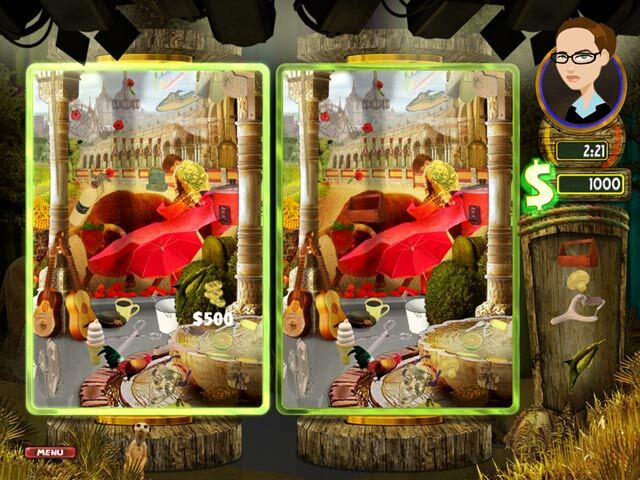 The scenes take place in different countries, and you have opponents seeking the same objects (an old lady or/and a boy - so, you always win!). Colorful, well drawn and very excited - with applause and cheering from the audience. Almost exclusively HOS, not really challenging...but sometimes objects are very small. Mini games very well known. If you have nothing better to do ... at least is relaxing. Just a dumb game right from the start. Nothing is interesting about this game. The emcee sounds like someone from the sixties. I know BF has better games than this coming down the pike. Don't waste your money on this one. I am not going to even finish the demo. 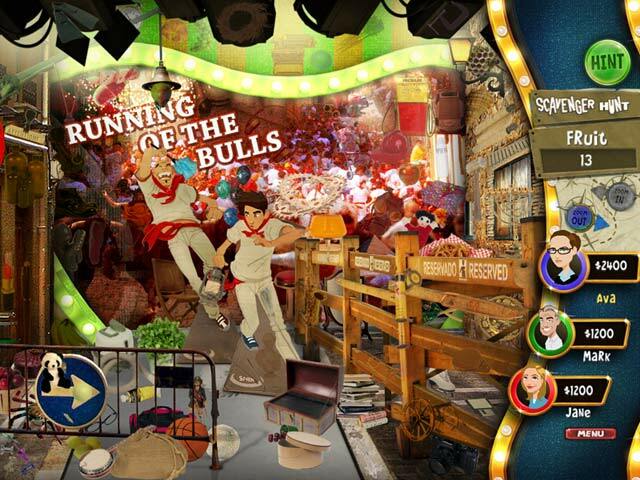 Although there is no story line, there is a lot of hidden object play in this game. A few minigames. What I liked most was the find-all items mode at the conclusion of the game (accessed through the achievements screen). I would have liked to have seen the American scenes included in this mode.